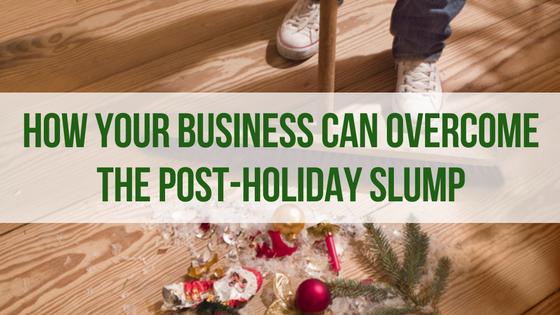 How Your Business Can Overcome The Post-Holiday Slump | BMT Micro, Inc.
Every year, businesses begin to check out as the holiday shopping season starts to fade out. The weeks and even months after the holidays can be a slow period for many businesses (online and brick-and-mortar) and are commonly known as the dreaded post-holiday slump. Most businesses do usually lose a good chunk of traffic and sales during January. But, the good news is the right strategy can help any business overcome the post-holiday slump. January 1st the magical date where everyone begins to drastically change his or her mindset. People start off the New Year with the best intentions, and for businesses, this opens a big marketing opportunity. No matter what you sell, only a few things cannot be logically tied into a New Year promotion. The New Year is your opportunity to offer shoppers an easier way to keep their resolutions. As we mentioned before, most businesses start to check out and relax after the holiday madness. Let your competition relax and do the exact opposite. By the end of the holiday shopping season, your business should have an abundance of new data at your fingertips (email addresses, order histories, abandoned carts, etc.). This is the perfect time make use of this data and spark interest in your business with customized offers. While you may be tired of discounts after the holiday season, your customers aren’t. A sale alone can be powerful enough to get your business over the post-holiday slump. When offering post-holiday discounts, it’s important to carefully analyze your December sales data. This will help you see any complementary products to offer in a New Year sale. Also, analyzing your sales data will help your business avoid triggering any sort post-holiday buyer’s remorse. The New Year is just beginning so don’t succumb to the post-holiday slump. It is not impossible to boost sales in January if you spark interest and give shoppers something to look forward to after the holidays. If you are looking for new ways to improve your business in the New Year, BMT Micro can also help. Our system can be used to set up many different discount schemes, offer multiple payment methods, and our highly trained customer service staff is here to assist your customers with the ordering process. We offer Marketing services as well, so please feel free to contact us for more information.